Pressurizing an aircraft cabin assists in making flight possible in the hostile environment of the upper atmosphere. 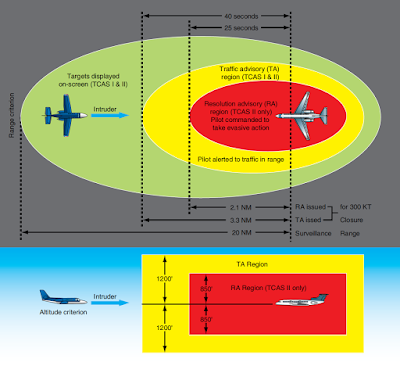 The degree of pressurization and the operating altitude of any aircraft are limited by critical design factors. A cabin pressurization system must accomplish several functions if it is to ensure adequate passenger comfort and safety. It must be capable of maintaining a cabin pressure altitude of approximately 8,000 feet or lower regardless of the cruising altitude of the aircraft. This is to ensure that passengers and crew have enough oxygen present at sufficient pressure to facilitate full blood saturation. A pressurization system must also be designed to prevent rapid changes of cabin pressure, which can be uncomfortable or injurious to passengers and crew. Additionally, a pressurization system should circulate air from inside the cabin to the outside at a rate that quickly eliminates odors and to remove stale air. Cabin air must also be heated or cooled on pressurized aircraft. Typically, these functions are incorporated into the pressurization source. To pressurize, a portion of the aircraft designed to contain air at a pressure higher than outside atmospheric pressure must be sealed. A wide variety of materials facilitate this. Compressible seals around doors combine with various other seals, grommets, and sealants to essentially establish an air tight pressure vessel. This usually includes the cabin, flight compartment, and the baggage compartments. Air is then pumped into this area at a constant rate sufficient to raise the pressure slightly above that which is needed. Control is maintained by adjusting the rate at which the air is allowed to flow out of the aircraft. A key factor in pressurization is the ability of the fuselage to withstand the forces associated with the increase in pressure inside the structure versus the ambient pressure outside. This differential pressure can range from 3.5 psi for a single engine reciprocating aircraft, to approximately 9 psi on high performance jet aircraft. [Figure] If the weight of the aircraft structure were of no concern, this would not be a problem. Making an aircraft strong for pressurization, yet also light, has been an engineering challenge met over numerous years beginning in the 1930s. The development of jet aircraft and their ability to exploit low drag flight at higher altitude made the problem even more pronounced. Today, the proliferation of composite materials in aircraft structure continues this engineering challenge. In addition to being strong enough to withstand the pressure differential between the air inside and the air outside the cabin, metal fatigue from repeated pressurization and depressurization weakens the airframe. Some early pressurized aircraft structures failed due to this and resulted in fatal accidents. The FAA’s aging aircraft program was instituted to increase inspection scrutiny of older airframes that may show signs of fatigue due to the pressurization cycle. Aircraft of any size may be pressurized. Weight considerations when making the fuselage strong enough to endure pressurization usually limit pressurization to high performance light aircraft and larger aircraft. A few pressurized single-engine reciprocating aircraft exist, as well as many pressurized single-engine turboprop aircraft.